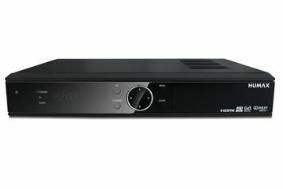 Humax HD-Fox T2 Freeview HD box arrives at Richer Sounds for £169.99 | What Hi-Fi? That's a relatively small saving on the suggested retail price of £179, but hey, a tenner's a tenner. We'll be running a full review of the HD-Fox T2 in the April issue of What Hi-Fi? Sound and Vision, on sale March 10th. Other bargains available from Richer this week include the Award-winning Sony BDP-S360 and BDP-S760 Blu-ray players at £119.95 and £299.95 respectively. There's also an LG HB354BS 2.1 Blu-ray home cinema in a box system for £349.95, and Cambridge Audio's new 650BD universal Blu-ray player for £399.95. For these offers and the latest deals on a wide range of flatscreen TVs, check out the Richer Sounds website.